So, this week we begin a new solar astrological cycle as the Sun moves out of watery Pisces and into fiery Aries. 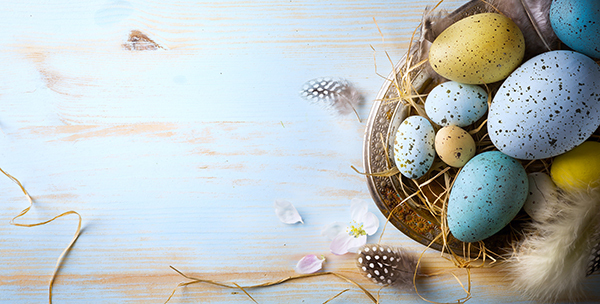 Let the season of spring begin! The sign of Aries is perhaps the most individual of all the astrological signs because it represents that burst of energy that creates life. Practically speaking, Aries season reflects a cycle of leaving the past behind and creating a new beginning by taking charge of our lives. Aries is probably the most competitive of the astrological signs. It likes to win, and we can use this energy to create objectives and goals that we can achieve. You only need to infuse it with a dash of ambition, a peppering of confidence, and a scoopful of determination. While we are in Aries season, it’s a beneficial time to focus on what you would like to accomplish and what reforms you would like over the next year. This week we are provided with two planetary assists – Mars in Taurus trine Pluto in Capricorn. Both configurations occur before the Sun moves into Aries on Wednesday and gives us a cosmic boost to see what is wrong, what we are unhappy with, and what needs to be reformed. It’s best to take advantage of this while you can. In other astrological news, we have a Full Moon in Libra. Libra is the sign of relationships and when the Full Moon falls in the sign of the scales, it’s time to get rid of the relationships in our lives that are no longer working. As Marie Kondo says, if it doesn’t bring you joy or make you happy, get rid of it. You can use this same philosophy in relationships. This entry was posted in astrology and tagged aries season, astrology, full moon in libra, horoscopes, mars trine pluto, Mercury conjunct Neptune, Mercury sextile Saturn, pisces season, Storm Cestavani, sun in aries, venus sextile jupiter, Venus square Mars on March 16, 2019 by Storm Cestavani. In last week’s forecast, the big news of the week was Venus turning retrograde on Friday (10/5). Now, this week is filled with aspects that are challenging. So, let’s be prepared and make the most of it. Although Mercury makes the most aspects this week, including a sign change, Venus and Mars are major players. However, Saturn in Capricorn is the week’s featured planet and his presence hovers over the entire week. Saturn in Capricorn is about tradition – for better or for worse. We are born into a family system with traditions and customs that are innate because of our heredity. In some case, these traditions are our ‘go to mode’ when things get difficult or stressful, but in other cases these traditions could lead to dysfunctional behaviors that ultimately do not serve us well. We begin the week with the Moon in relationship-oriented Libra and the energy builds up to the New Moon that occurs on Tuesday. New Moons are about new beginnings and this week we are urged to do intention (magical) work around our relationships to make them more meaningful, and with Venus ruling the New Moon, we should begin to see the areas of our relationships that need improvement. Then, we can begin to step forward building on solid ground. The general energy of Monday and Tuesday is rather mixed. On Monday, the Moon forms a lovely trine to Mars in social Aquarius. This energy is great for networking, especially with career or business connections. However, Tuesday is complicated with the Moon squaring Pluto. Power struggles may surface and may take over your day. Try to avoid reacting to others, but always stand your ground when necessary. On a more positive note for Tuesday, Mercury moves into mysterious Scorpio. Mercury in Scorpio gives us the ability to see things that we normally miss – including the hidden motivations of others or ourselves. Mercury in the sign of the scorpion provides us with a deeper understanding of our circumstances that will come handy this week. Wednesday presents us with a couple of troubling aspects: Mercury oppose Uranus and Venus square Mars. Let’s begin with Mercury oppose Uranus. This aspect is very mental, and our thoughts will be fast and furious with new ideas that may or may not be viable. It may be necessary to test out anything before you apply it fully to your life. Mercury in opposition to Uranus causes us to be highly reactive and we say whatever is on our mind, which could lead to difficulties. Mercury/Uranus bluntness dovetails into Venus square Mars. If you are in a relationship that has problems, this aspect can lead to arguments that could have difficult consequences, and even solid relationships could have a love spat or two. The best way to deal with his conflicting energy is to try to be considerate of your partners personal needs while acknowledging your own because one of the problems inherent in this aspect is feeling like you are sacrificing yourself for others, and your personal desires not being acknowledged. Use Wednesday to figure out your needs and don’t be afraid to express them. Learning to compromise but getting some of what you want is necessary with Venus square Mars. The general energy of Thursday is favorable. During the morning hours, you will have an opportunity to deal with intense feelings you may have repressed or ignored. Acknowledging these feelings could improve relationships because you will feel empowered to make beneficial changes. On Thursday evening, the Moon will conjoin Jupiter and it’s a great time to do something fun and enjoyable. On Friday, the Sun in Libra will square Pluto in Capricorn and you may feel the need to make radical changes in your life by eliminating everything that may not be working for you. A good place to start is the areas of your life where you feel out of control, and perhaps, overpowered. Nobody likes to feel that others have the upper hand, and you will be no different. Once you let go of everything that no longer works in your life, progress will begin to occur, and positive changes will ultimately happen. Now the good news on Friday is that you will receive a cosmic assist from Mercury forming a lovely sextile to Saturn. As I said earlier, Mercury in Scorpio lets you dig deep, so the areas of your life that need to be changed will be easily discovered and Saturn will help you deal with them in a manageable way by helping you create a feasible plan. Otherwise, Friday is a great day to finish up lingering tasks or responsibilities. Get your party hats out because the Moon will be in jovial Sagittarius. It’s a great weekend to spend doing all the wonderful autumnal activities and festivals with family and friends. You can spend the visit the Halloween festivals, hang out with friends and family, or do something spontaneous and exciting, but most importantly, have some fun. But, don’t forget to drink some apple cider for me. 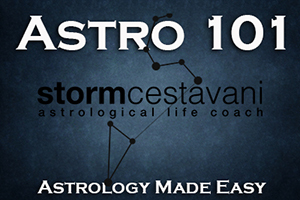 This entry was posted in astrology and tagged Cosmic Weather Forecast, Libra Season, Mercury in Scorpio, Mercury oppose Uranus, Mercury sextile Saturn, Storm Cestavani, Sun square Pluto, Venus square Mars on October 6, 2018 by Storm Cestavani.